Our November trip to Branson, Missouri was filled with firsts for us. 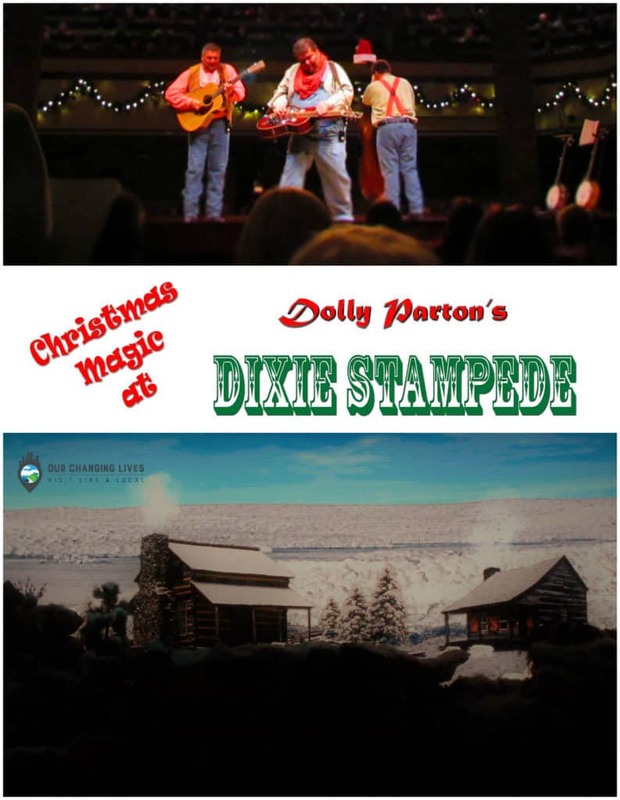 Among these, was our first experience at Dixie Stampede. 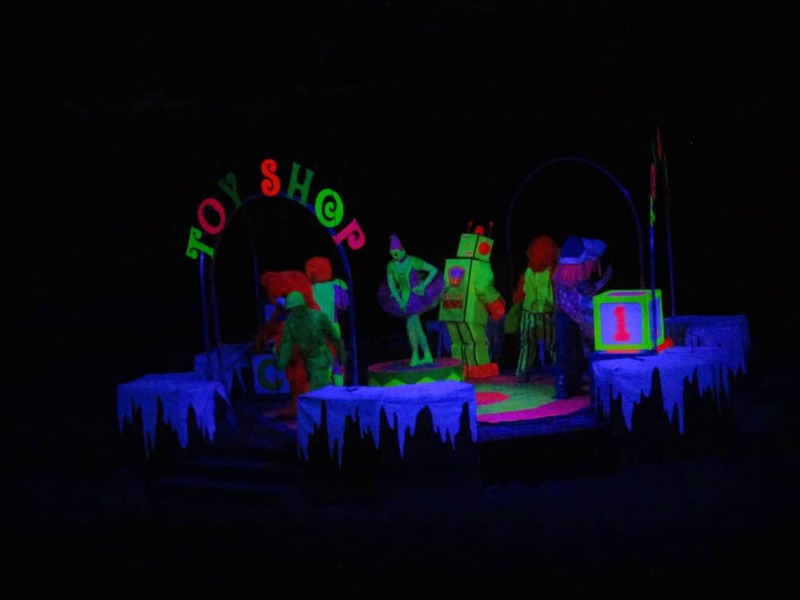 Branson is home to a wide array of entertainment options, and many of these are evening shows. 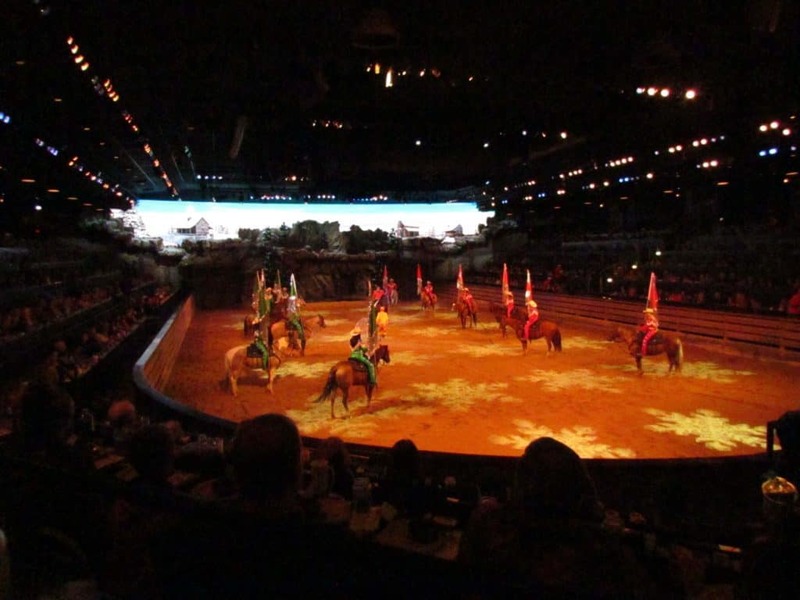 Dixie Stampede kicks it up a notch by adding dinner to the schedule, so that guests can watch a live show, while they dine. We had heard many of our friends descriptions of the experience, and were ready to see it for ourselves. We want to thank Dixie Stampede for their hospitality. Rest assured that all opinions are our own. We arrived a little before the pre show started, and found a spot in the over-sized parking lot. The size of it hinted at the number of guests that could be held inside. 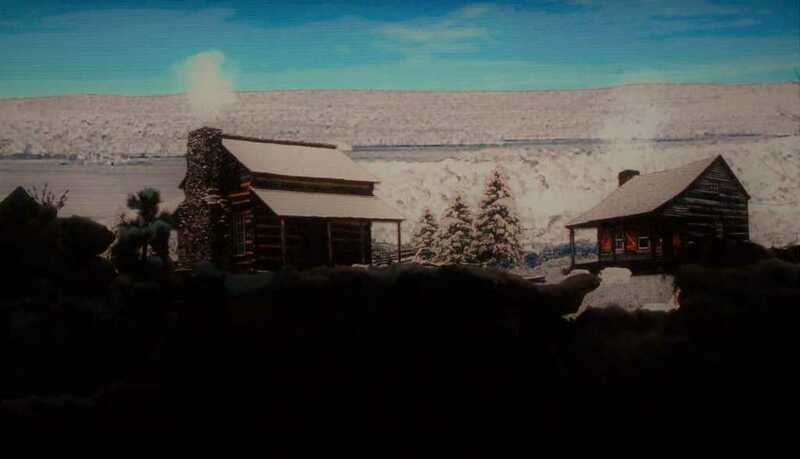 As we made our way toward the entrance, we passed by the stables. Here we were able to view some of the stars of the show, as they enjoyed a snack. Once we picked up our tickets, we made our way inside to the Carriage Room. 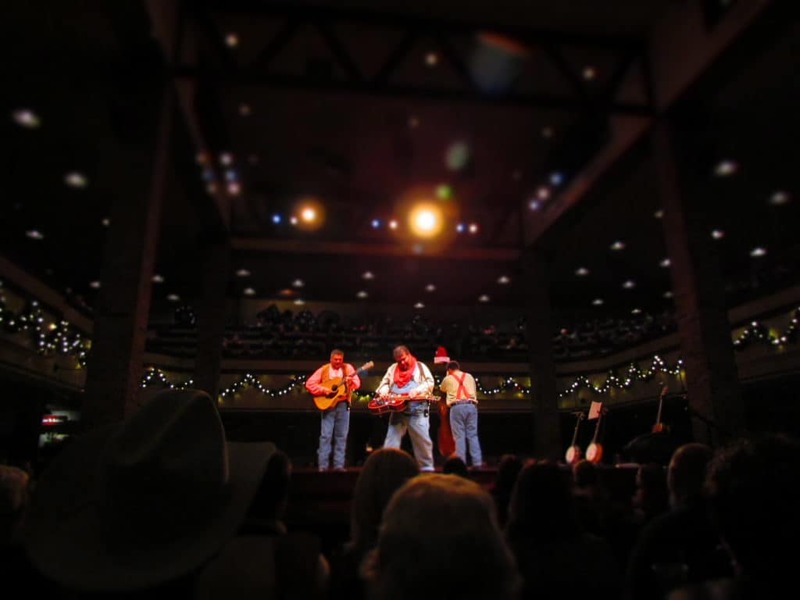 Here guests are treated to a fantastic musical show by the White River Wranglers. This trio of brothers played a variety of Christmas songs familiar to most of the audience. It certainly made the wait more enjoyable, and had everybody toe tapping by the finish of their medley. They announced that it was time for us to make our way into the auditorium, and we went in to find our seats. The auditorium is split between the North and South sides. During the regular season these represent the armies of the Civil War. Since our visit occurred during the holiday season, the sides were representing the North and South Poles. Our servers helped us find our sections, and once we were seated they took our drink orders. (Like many Branson locations, alcoholic beverages are not offered.) I didn’t take pictures of the meal, but it consisted of a four course meal. You are not given silverware, but our neighbors had clearly attended previously, and brought their own. The meal begins with a cup of creamy vegetable soup (absolutely delicious). Next came the main course, which featured a roasted Cornish game hen, Bbq pork loin filet, half cob of corn, half of a baked potato, and a biscuit. The final course was dessert, which consisted of an iced, fruit-filled popover. The meal was not gourmet fare, but was decent, and more than enough for all but the most ravenous appetites. Not long after the main course was served, the lights were dimmed. The music rose, and the evening’s emcee rode out into the arena. He welcomed us all, and laid out the theme for the evening’s entertainment. Here is where we found out which pole we represented, and would cheer for during various events. (We were on the edge of the South Pole section.) 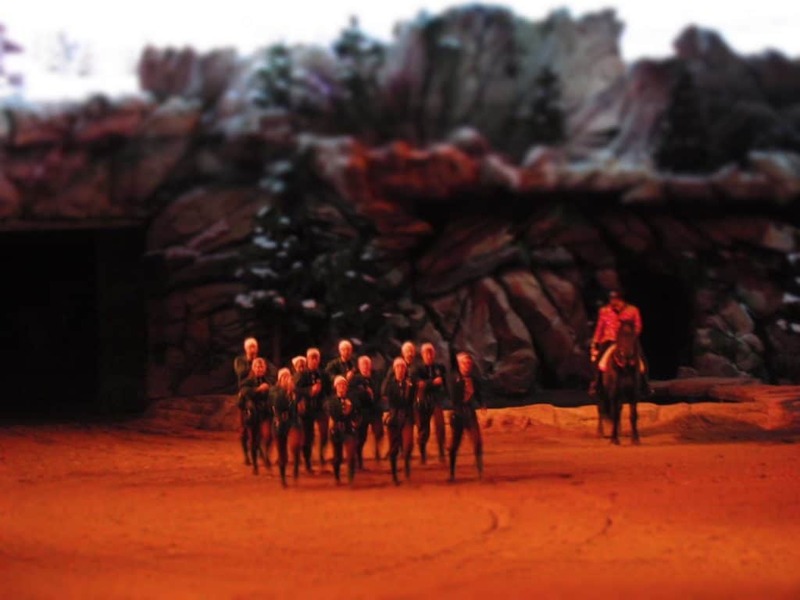 The participants for the evening were made up of elves and riders for each side. A parade of contestants gave the audience a chance to be introduced to their champions for the evening, and cheers went up for each side. Two large doors at the back of the theater offered access for the entertainers to enter and exit the arena. Throughout the evening, we were treated to a broad spectrum of entertainment options. A large stage was lowered from the ceiling, and we were thrilled to see an ice-skating couple onboard. As the music played, they danced around the ice for all to see. This unusual addition to the show was a nice treat, and was only the beginning of some interesting tidbits we would see. Being a Christmas show, we expected some form of nativity to be presented. Once again, it originated from the stage that lowers from the ceiling. We found this to be an inventive way to introduce new characters and subjects to the crowd. 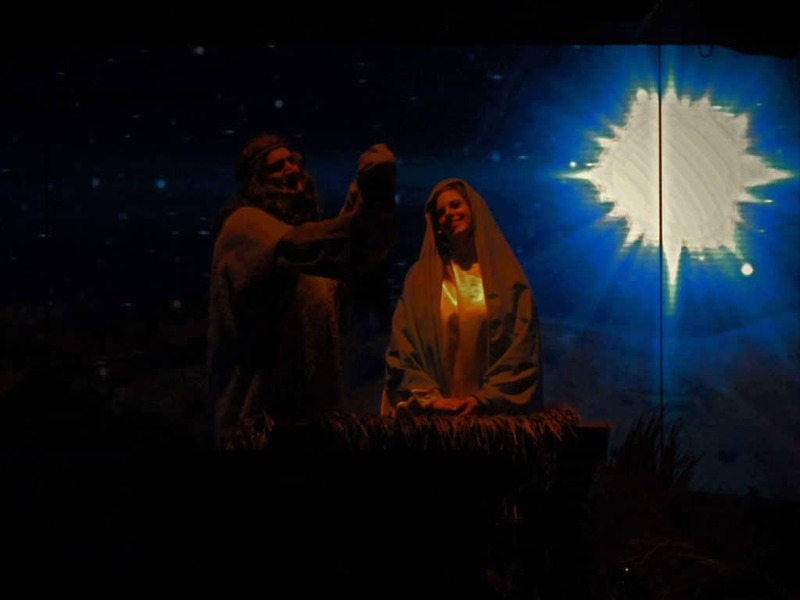 For the nativity, the stage held the manger scene. The visitors to the stable filtered through the doors at the back of the arena. Shepherds tended their flocks, and the wise men, traveling by camel, made their way to the center of the arena. The entire presentation was well presented. The evening’s entertainment, while varied, was still focused on the riders and their beautiful mounts. Various events took place through the evening, with a tally of winners being added up for each pole. The crowd cheered on its respective sides, and everyone enjoyed the fanfare. One of our favorite sections was the barrel races, with a trio of riders competing for each side. There was also lots of parading and high-stepping, which gave us a chance to see the horses we had met earlier in the evening in action. Even though I am certain that our side cheered just as loud, the North Pole ended up victorious. It wouldn’t be a Christmas show without the arrival of Santa Claus. 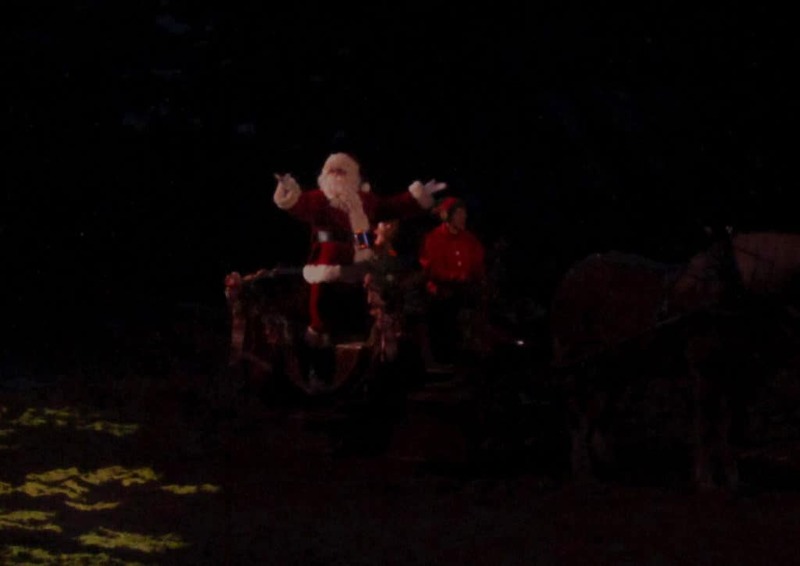 One of the final scenes for the evening was his arrival by sleigh. He was welcomed by cheers and excitement all around the audience. As he took laps around the arena, he waved back at the crowd, and offered his trademark Ho! Ho! Ho! As the show wound down, the house lights returned to normal, signifying the end to the show. The cast of riders, 32 horses, various livestock, and assorted special features made for an evening of fun entertainment. After our inaugural visit, we can understand why so many people make return trips to this attraction. 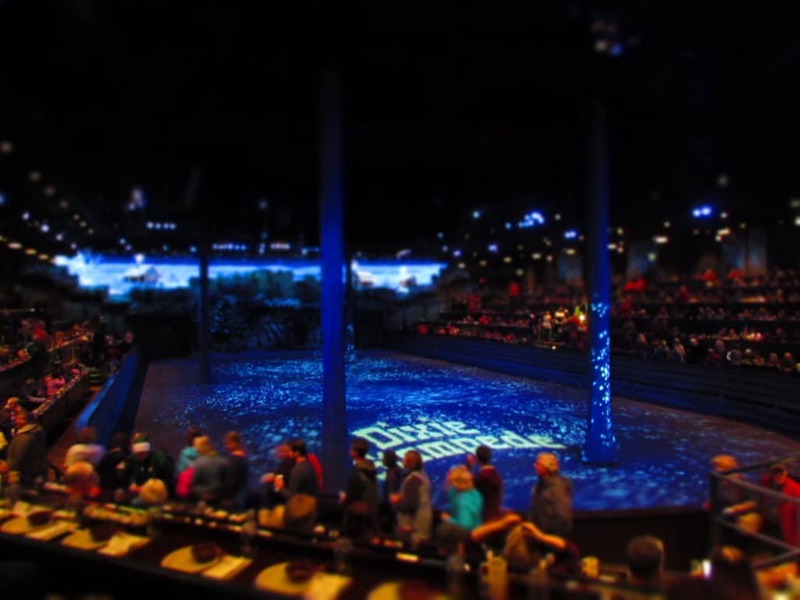 How many of you have visited Dixie Stampede?